The number of horizontal drilling [or fracking] rigs skyrocketed from 40 in the 1990s to over 500 in 2008. The country currently consumes just under 23 trillion cubic feet of gas per year and half of that amount is produced from wells drilled within the last 3.5 years, using the combination of horizontal drilling and hydraulic fracking. Doug Morris, a reserves and production expert with the Energy Information Administration's Office of Oil and Gas, says, "you go back ten years and nobody predicted this boom in shale gas." 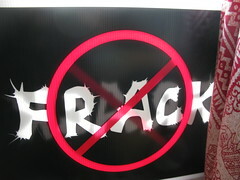 Yet the boom has brought with it an unprecedented chance to investigate and regulate the potential environmental damage fracking can cause, thanks in part to New York State's de facto moratorium on fracking, about which the EPA held public hearings in Binghamton, New York in September. Fracking technology has turned rolling hills and fertile farmland into rich energy sources. Industry and citizens are now battling over how -- and whether -- to regulate our next major source of fuel. In reversing the policies of an agency long accused of putting politics first, the new administrator has her work cut out. Does the EPA have the tools to regulate fracking? Critics argue two big laws are being twisted to crack down on drilling pollution. But using old laws to keep pace with modern threats is nothing new. After a public hearing in New York on the controversial process to extract natural gas, the EPA's science policy director offers insight on the government's role in determining its safety.